Carborundum Universal Limited (CUMI) is part of the US$ 4.4 billion conglomerate Murugappa Group. The company pioneered the manufacture of Coated Abrasives and Bonded Abrasives in India. In addition, we also manufacture Super Abrasives, Super Refractories, Electro Minerals, Industrial Ceramics, Ceramic Fibers and Power Tools. 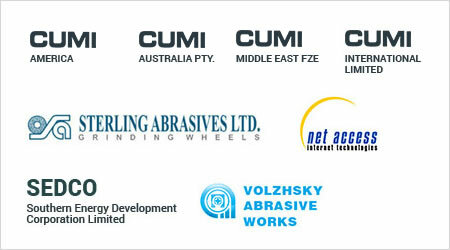 CUMI manufactures the complete range of Vitrified, Resinoid and Rubber Bonded Products for various industrial applications; Cylindrical Grinding, C’less Grinding, Surface Grinding, Face Grinding and complete range of Coated Products; Abrasive Paper, Fibre Discs, Rolls, Flap Discs, Non Woven and Flap Wheels. Our products address various type of industries; Automobile OEM, Auto Components, Steel, Bearing, Foundry, General Engineering, Aerospace and Wood. We also have unique products for Ball Grinding, Ball Lapping, Roller Grinding etc. CUMI has a strong R&D and Application support team to provide complete grinding system engineering and technical support to all customers. We offer our customer, the best quality products at competitive price. With strategic global alliances, state of the art manufacturing facilities and sales support centers that span across North America, Europe, Russia, South Africa, India, China and Australia, CUMI has achieved a reputation for quality and innovation. CUMI specializes and develops specific products to meet the requirements of customers and markets. We are confident that our product / service / price will provide the best value for your business. We at CUMI do value your business and look forward to building a strong and successful relationship. We would like to say thank you for the time allotted to read this letter. We look forward to hear from you soon. If you have any question please feel free to call or write to us. Capital investment of about Rs. 4 billion for various modernization, expansion and projects for new product lines. Automated thin wheel facility at Hosur and Chennai, India. Establishment of a Modern Silicon Carbide Micro grit plant in Koratty and Cochin SEZ. Establishment of a Modern Polymer manufacturing facility near Chennai. Acquisition of monolithic Refractory facility in Jabalpur, India. Establishment of manufacturing facility for thin wheels in Uttarkhand and Power Tools in Jigani, Bangalore. Establishment of CUMI Middle East & CUMI Canada Inc.
Acquisition of Volzhsky Abrasive Works, Russia and acquisition of 51% holding in Foskor Zirconia(Pty) Ltd., South Africa. Commissioning of a modern 1000 tonne vitrified Bonded Abrasives plant and 2000 tonne organic Bonded Abrasives facility in China. Acquisition of Thukela Refractories Isithebe Pty Ltd, South Africa, a fused mineral manufacturing facility in South Africa. Establishment of Ceramic Foam Refractories Plant in Kochi, India in collaboration with Cellaris Ltd, Israel. 12 MW Hydel project at Maniyar, Kerala, India. Second unit at Edapally for manufacture of Brown Aluminium Oxide grains. Acquired a controlling interest in Sterling Abrasives Ltd., Ahmedabad, India. Acquired a controlling interest in Cutfast Abrasive Tools Limited and Cutfast Polymers Limited and subsequent mergers. Established a 5.5 MW natural gas based thermal power plant in Nallur, Tamilnadu, India through SEDCO. Acquired Prodorite Aniti-Corrosives Ltd., a leading player in anti-corrosion engineering. Cloth processing facility at Maraimalainagar, Tamilnadu. Expansion of Bonded Abrasives plant at Hosur, India with a modern facility for vitrified grinding wheels. Silicon Carbide plant at Koratty, India & Refractories plant at Ranipet, India. Industrial Ceramics plant at Hosur, India. 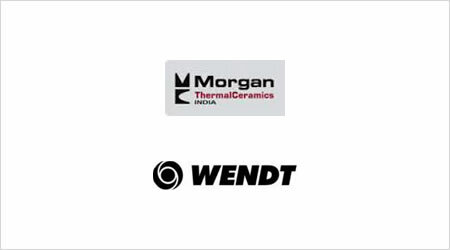 Acquisition of 40% interest in Wendt (India) Ltd., which manufactures Super Abrasives. Acquisition of Eastern Abrasives Ltd,a Coated Abrasives manufacturer in Kolkata, India. Second Bonded Abrasives plant at Hosur, near Bangalore, India. Established MMTCL as a joint venture with Morgan Group plc. for ceramic fibres. Manufacture of Super Refractories at Chennai, India. Brown Aluminium Oxide grains plant at Edappally, India. Bauxite calcination facility at Okha, Gujarat, India. Incorporated as a joint venture between Carborundum Company, USA, Universal Grinding Wheel Company, UK and the Murugappa Group, India. Acquired a Coated Abrasives facility from Ajax Products Pvt. Ltd.
Bonded Abrasives facility set up at Chennai, India. Bauxite mining at Bhatia, Gujarat, India.